We’ve always sought fashion tips from celebs, following the latest trends in glossies, on the catwalk, or from movies and TV. But these mediums only showed a small portion of potential fashion; now, with social media, a massive range of fashion styles are on show. From hip trends to alternative looks, there’s something for everyone, and there’s an influencer for every genre. Gone are the restraints of editors and directors, as social media allows anyone to create and share outfit ideas and inspiration. Those with a particular eye for fashion, and a crowd of followers, may even find themselves becoming fashion’s latest and greatest sales-drivers; enter the influencer. Audiences are turning away from traditional media and more towards the online world. Now it’s all about social media — what products are online retailers pushing this season? What dresses are all your friends wearing in their latest tagged photos? And, what’re the bloggers and influencers on your news feed into this month? Millennials are considered to be less drawn to traditional advertising, due to the belief of it being false or heavily planned. In the world of fashion, this means that magazines and advertising campaigns don’t have the influence that they once did — they’re now seen as quite distant from the reader as many are aware of the editing that goes on behind one shot. Instead, peer recommendations are more valuable and accessible than they once used to be. Of course, we’ve all heard of the power of word-of-mouth, but with social media and its ability to spread at a rapid speed across countries, it’s more important than ever before. Of Instagram’s total audience, 200 million users follow at least one fashion account. 45% of Instagram users in Britain say they follow these fashion accounts to gain inspiration for looks they can buy or create themselves. Sharing their own looks is a part of this process too, with #fashion mentioned a huge 13 million times a month and #ootd (outfit of the day) featuring in 140 million posts to date. Social media has caused something of a “need” for validation, through “likes” or “followers”. This is now the scope for a trustworthy and reliable source, a new way to see how many people listen to a person’s opinion. Many of us are used to reading user-generated reviews about an experience or product before making a purchase now. In fact, research found that 71% of people are more likely to make an online purchase if the product or service has been recommended by others. 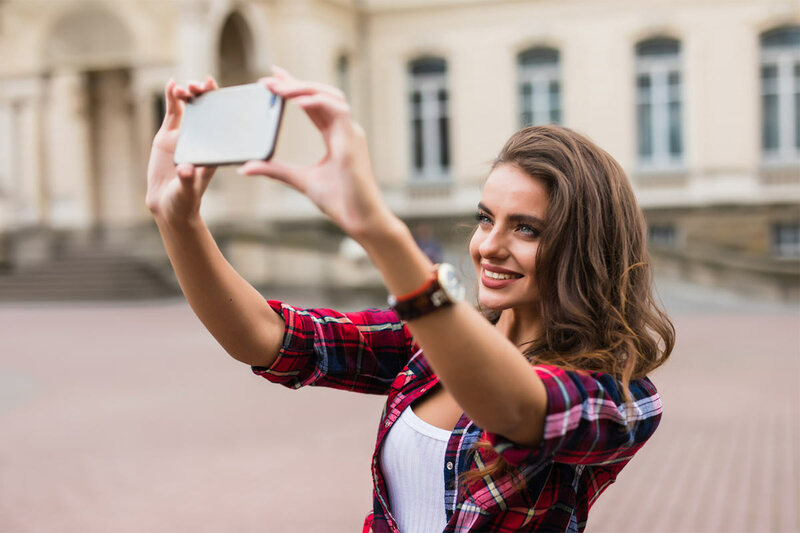 In addition to this, 84% of millennials are likely to be influenced into making a purchase based on the user-generated content by strangers who have experienced the product or service. Unsurprisingly, fashion brands are starting to focus more and more on influencers and social media as a means of advertising their brand. Even luxury brands — that once shunned social media for fear of it cheapening their image — are jumping on the digital bandwagon. While 72% of luxury fashion brands’ marketing spend is still attributed to print marketing, digital is quickly gaining pace — reaching a total digital ad spend of $100 billion in 2016. If fashion brands can make their way onto the news feeds of users, they become exposed to a demographic that has already expressed interest in them. Fashion shows are one way. Once an exclusive event for the elite and top names in fashion, many shows on the catwalk can now be viewed live by millions. Access to the designers’ latest fashion lines was often something that we could only hear about through magazines and the press. Now however, we can keep up with the latest through monitoring the content attached to a hashtag. Originally, Twitter and Facebook were the pioneer of social media. But, now there’s a new player on the scene — and it’s taking over. Instagram reached 800 million monthly active users in September 2017 and these users have the highest level of engagement (time spent using the app) compared to other social media sites. Instagram, with its focus on visuals, has become an easy platform for fashion to dominate. This encourages brands to think more about ‘real’ people, with different bodies, skin tones and fashion preferences — it’s opened a whole new world for fashion marketers. Users of Instagram can even shop directly through the app. Brands are able to tag products in their posts which can then lead users to a point-of-sale. Early adopters of this, such as Natori and Magnolia Boutique, have already found that traffic and sales from Instagram have increased after implementing the shopping service. Brands are actively encouraging people to photograph themselves wearing their purchases and posting them on social media. This is another form of user-generated content and it allows others to see what the outfit looks like on real people. In some cases, users are given the chance to feature on the main social media page. Influencers have a huge, well, influence! Fashion brands would be insane to miss out on the opportunity they represent. The influencer economy of Instagram alone is valued at $1 billion and 94% of businesses said influencer marketing was an effective campaign strategy. Influencers, who are usually bloggers or celebrities with large social followings, work to spread awareness of a brand in order to encourage their audience to purchase a product based on their recommendation. For example, Adidas recently unveiled supermodel Kendall Jenner as its new Adidas Ambassador. With a total Instagram following of 89.2 million compared to Adidas’ 19.2 million, the partnership will significantly increase Adidas’ social reach and position the brand in front of Jenner’s younger fashion following. For a customer, buying based on an influencer’s recommendation is seen as a recommendation from a friend, or a means of imitating someone they admire. Seeing the people we admire or look up to wearing a particular outfit or using a certain product is a vote of confidence in a brand that makes us more likely to purchase the particular product or interact with the brand in the future. This sense of community is something that brand accounts struggle to deliver; a third-party is needed to validate the products for consumers. Influencers do usually have celebrity status, but this isn’t a necessity to be an influencer — a high number of followers can be garnered by all sorts of ways online. It can involve any profile that can add value to a brand but generally, this value is measured in terms of volume of followers. In order to fully benefit from influencer marketing, the followers of the influencers need to be part of the brand’s target audience. Influencer relationships can be expensive, so the associated spend needs to be justifiable — yet doing so can be problematic for fashion brands, when you consider the difficulty surrounding success measurement. Brands may or may not be able to gauge a clear measure of an influencer’s success with their brand, but they can see how valuable the relationship-building element is for their brand in terms of sales. Research found that 5% of the influencers that were offering product recommendations were driving 45% of social influence. Social media has been a huge catalyst for change in the fashion marketing world. We’re now more connected with our brands than ever before and are proud to publicly post about the names we love. With the implementation of Instagram shopping already changing the process of fashion retailing, who knows what the future holds?